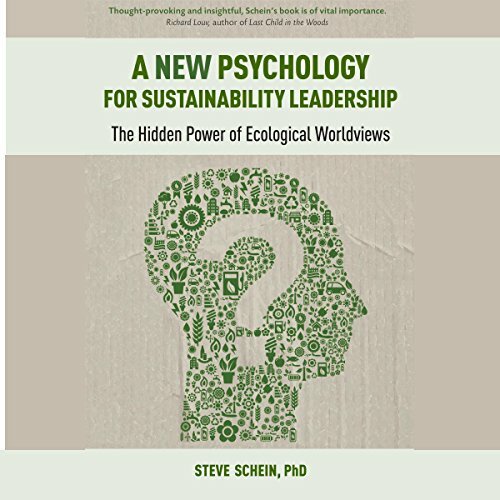 Dr. Steve Schein is a sustainability leadership educator, researcher, and executive coach. After 25 years in the corporate world and a decade in academia, he sees the evolution of business leadership and education towards ecological sustainability as a global imperative. To that end, his research focuses on the development of ecological and post-conventional worldviews in the setting of multinational corporate leadership. Dr. Schein's research has been published in The Journal of Corporate Citizenship, The Journal of Management of Global Sustainability, and presented at numerous conferences on corporate social and environmental responsibility. He currently serves on the Board of Directors for Net Impact (https://netimpact.org) and the GEOS Institute (http://www.geosinstitute.org). He lives in Ashland, Oregon and can be reached at steve@sustainableleadership.com and through his website at www.steveschein.net. He has been a member of the faculty at Southern Oregon University since 2005, where he founded the certificate program in sustainability leadership. Prior to joining the faculty at SOU, he was a certified public accountant (CPA) and former CEO with senior management experience in several companies. He holds a PhD in Human Development and Organizational Systems from Fielding Graduate University and a BA in accounting from the University of Colorado.